With time, the picture quality of TV’s has been improved tremendously. Now, with the latest 4K TV’s we have moved to something bigger and better than ever. 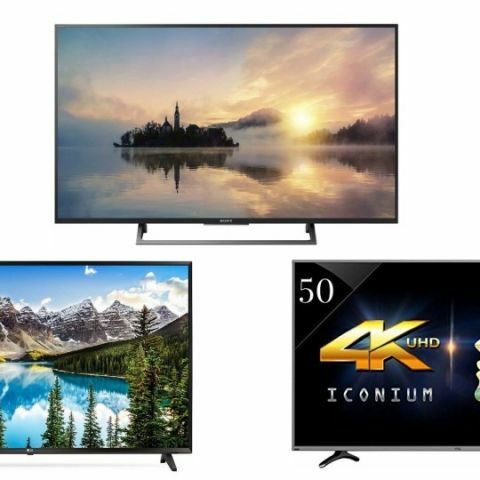 Today, we have a bunch of deals on 4K TV’s that is currently going on Paytm Mall on brands like Sony, Samsung, LG and more. If you’re tired of your dumb old TV then it’s time to move to the latest 4K TV’s. We’ve got you covered with the best 4K TV’s deals on Paytm Mall. The list contains gadgets from popular brands like Sony, Samsung, LG and more. The VU 43-inch TV offers a resolution of 3840 x 2160 pixels with a viewing angle of 178 degrees. The device runs on Android 7.0 and is Wi-Fi enabled. Users can simply connect the TV to their home network and access various apps like Netflix, Youtube and more. Click here to buy. If the panel size of 43-inches is not enough, then the VU 50-inch 4K TV might fit the bill. It has the same features as the 43-inch model except for its screen size. The users will get internet access, Eshare to transfer pictures, music, and videos. It has four HDMI ports, three USB ports to connect external devices. Click here to buy. The LG 4K Ultra HD Smart TV offers a resolution of 3840 x 2160 pixels with a panel size of 43-inches. The TV allows you to mirror your smartphone content on a bigger screen, which also lets you control it through LG magic remote. It has a multitasking feature as well, which means users can watch TV and surf the internet at the same time. Click here to buy. If you’re the one who is leaned towards Sony products then the Sony 4K Smart TV might be the right device to grab this time around. This Android TV enables you to connect devices like an Alexa-enabled smart speaker like the Echo for hands-free control. With Alexa, one can change channels, control volume and even turn on the TV via voice command. As it is a Smart TV, you have an access to internet streaming apps like Netflix, Youtube, Sony Liv and more. Click here to buy. The Daiwa Ultra HD LED TV offers a 4K resolution with a panel size of 43-inches. The smart TV lets you access apps like Netflix, Youtube, TED and more. The device is equipped with two box speakers to improve audio. Click here to buy. Which is the best 4k tv ?is the curved tv better than 4k?